It’s true. 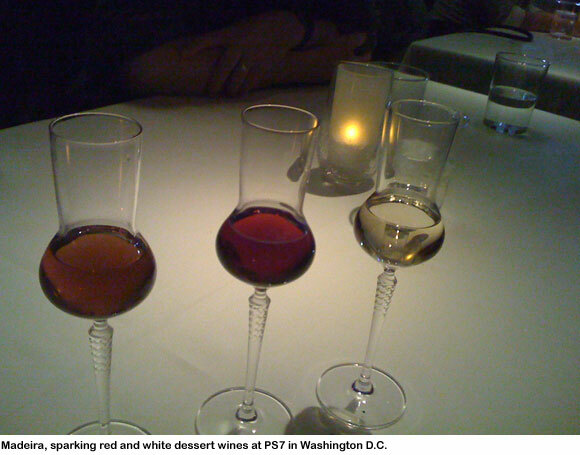 I really only took a sip of D.C. compared to other cities of which I’ve drunk deeply, e.g. Portland and Seattle, Miami Beach, San Francisco and L.A. But what a fine sip it was. There was a dual purpose to my short trip to our nation’s capitol: booze and poetry (not an unheard-of combination). 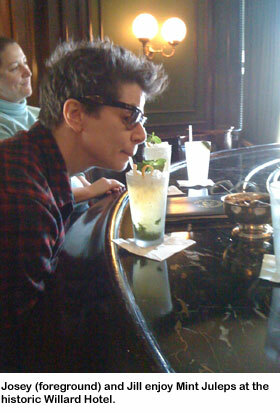 My drinking buddy Jill McDonough is a poet who received the prestigious Witter Bynner Fellowship, which the U.S. Poet Laureate bestows each year upon two unsuspecting, rising talents. That’s right, you don’t apply for it; you’re just chosen. Being chosen means that you get to read your poetry in front of an audience at the Library of Congress, make a recording for posterity, and meet the poet laureate, who is currently Kay Ryan. 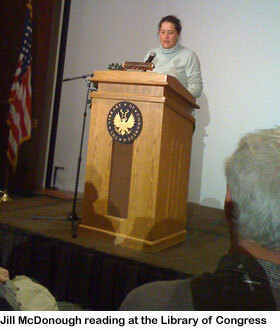 So, I gathered with Jill’s family and friends at the LoC and listened to her read poems about legal executions, car accidents, and captured terrorists. (“There’s no money in that,” a cab driver helpfully pointed out to one of Jill’s friends on the ride in from the airport.) Her work is not as dark as it sounds — she writes and reads in a compelling, frank, non-polemical way. After the reading, we cheered Jill on and, that night and the next, celebrated in some of D.C.’s best restaurants and bars. The Tabard Inn. A real, old inn whose cozy dining areas serve deliciously executed homestyle fare like goat ragu bolognese, lump crab cakes and seafood gumbo. Bartender Chantal Tseng, who is married to another D.C. bar celeb, Derek Brown (see below), started us off with a round of perfect Sazeracs. The Gibson. A great-looking, speakeasy-style bar that occupies what looks to have been an early-20th-century, second-floor apartment. The bar itself is in a narrow room at one end of the space, and a hallway leads to two separate rooms with vintage chairs and couches. Jill and the other Witter Bynner fellow, Atsuro Riley, and their entourages (it’s true, poets have entourages) took over one of those rooms and ordered a few rounds of well-made cocktails. Jill’s missus, Josey Packard, and I decided on Seelbachs and were not disappointed. 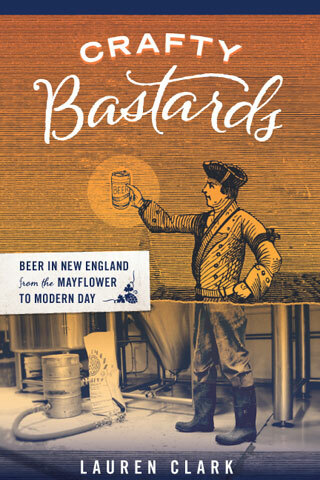 I know we’re all supposed to be sick of speakeasies, but I live in Boston, where we don’t really have those, and I thought it was cool. PS7’s. Named after its accomplished chef, Peter Smith, and the restaurant’s address, 777 I St., PS7’s is a chic restaurant with a bar to match, a space serving craft cocktails to the D.C. smart set. Jill ordered a Gina’s Gibson with a pickled ciopollini onion the size of a quail egg, and I had a Master & the Margarita (presumably named after Bulgakov’s book) with Milagro tequila, lime, apricot, marigold tea and citrus salt. Very tasty. I capped dinner with a glass of Madeira, which paired like a honeymooner with a pungent, taleggio-like cheese from Vermont. The Passenger. We wound up at Derek and Tom Brown’s spare, dark, crowded, hip-but-not-too-hip bar, which serves a well-crafted cocktail if you want it but quietly suggests that straight spirits and beer are the cooler choices. We introduced ourselves to Derek, who helped launch the Gibson and writes a regular cocktail column for the Atlantic Monthly (which, as you may remember, moved from Boston to D.C. a few years back). While Tom runs the raucous main bar, Derek, who admits to not totally cringing if you call him a mixologist, teaches cocktail classes, hosts small groups and concocts vermouth, bitters, etc. 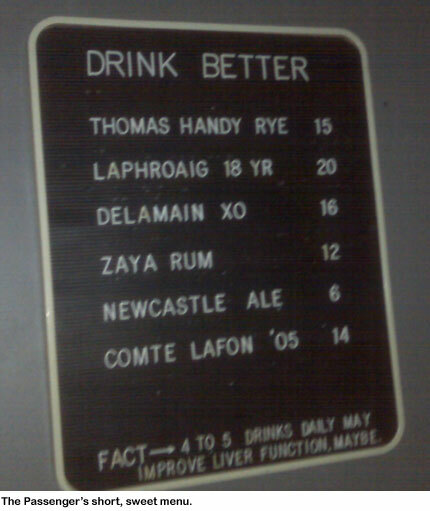 in a small bar in the back called the Columbia Room. He stowed Jill, Josey and me back there with a bottle of Yamazaki scotch from Japan, a bottle of Weller bourbon and a few cans of Oskar Blues beer while he stood in for the doorman out front. Occasionally, he’d check in on us, and we’d prod him to tell tales of making drinks at White House cocktail parties. Later, Tom joined us and offered us a taste of some funky, citrusy rum he bootlegged out of Guatemala. A fun pair, those Brown brothers. Julia Child’s kitchen at the Smithsonian. OK, it’s not a bar. 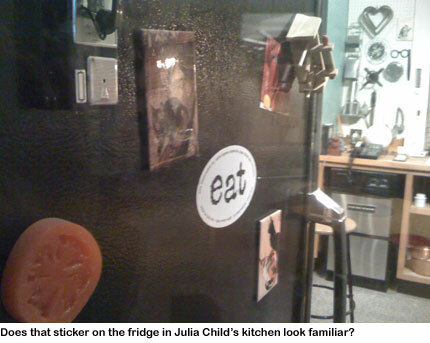 I mention it not only because it’s a piece of Americana from Cambridge, MA, but because its fridge has a sticker from one of Somerville’s most famous restaurants: eat. The scene of my dirty Bombay Sapphire martini years, eat is long gone, and so is Julia. But she liked the place, and dined there in the early 2000s before leaving Cambridge for California in her sunset years. Thanks, D.C., for wetting my whistle. I’ll be back. Crush mint and muddle with juice and syrup. Add liquor, shake with ice and strain into cocktail glass.